The global conservation movement has reached a turning point. We have documented the fast pace of habitat loss, the growing number of endangered and extinct species, and the increasing speed of global climate change. Yet while the seriousness of these threats cannot be denied, there are a growing number of examples of improvements in the health of species and ecosystems, along with benefits to human well-being, thanks to our conservation actions. Earth Optimism is a global initiative that celebrates a change in focus from problem to solution, from a sense of loss to one of hope, in the dialogue about conservation and sustainability. Please register if you are coming in person or stream the presentations online here: https://earthoptimism.si.edu/calendar/summit Sunday is a free public day. It’s difficult to communicate the extent of the amphibian crisis using only numbers. The 2008 global amphibian assessment lists 120 potentially extinct species and 39 extinct amphibian species. 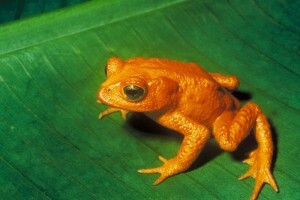 Of these, 94 had chytridiomycosis listed as a likely threat associated with their disappearance. Most of the missing species are from Central and South America, but we are also losing species from North America, the Caribbean, Australia, the Middle East, Asia and Australia. Now let’s try and put those numbers into the context of our mammal-centric world. Think of a whole bunch of endangered mammals from around the world: a jaguar, Panthera onca, a Baird’s tapir, Tapirus bairdii, the golden lion tamarin, Leontopithecus rosalia, a mountain pygmy possum, Burramys parvus, Dama gazelle, Nanger dama, and the New Guinea big-eared bat, Pharotis imogene. Repeat that exercise 25 times, and you’ll have some idea of what we have probably already lost in the amphibian world. Here is a roll-call of missing amphibians. Those marked with an (EX) are classified by the IUCN as extinct. Those with an asterisk * next to them have had chytridiomycosis suggested as one of the threats associated with their disappearance. 1. Discoglossus nigriventer (EX) Rediscovered in 2011! 14. Litoria castanea* Breaking news – this has been rediscovered after 30 years! 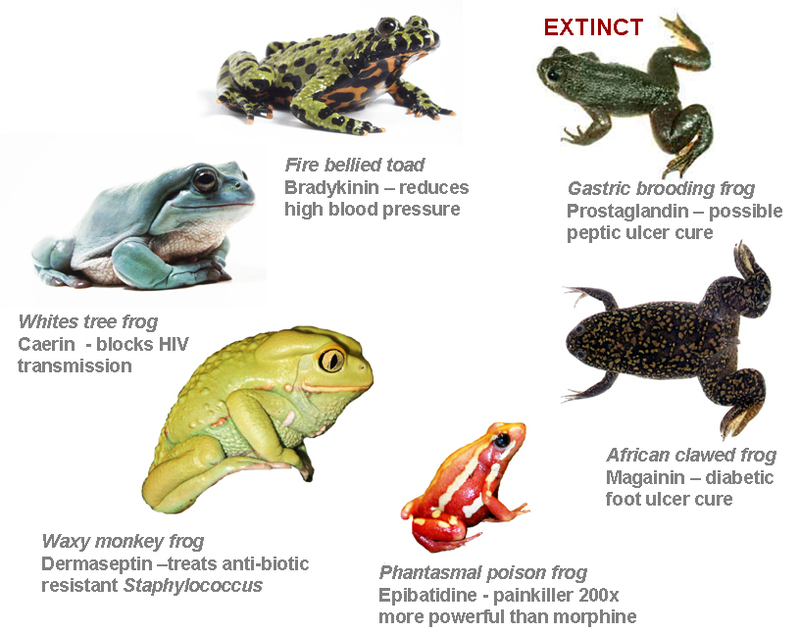 Have you seen any of these missing amphibians? Do you think that other species should be added? Use the comments field below to tell us your thoughts. For another list of possibly extinct species, grouped by countries, see amphibia web. Over the last year I have spent countless hours talking to people, explaining why I’m an amphibian conservationist battling to save some of the 2000-odd species of amphibians that are facing extinction. I’ll bet that the bird conservationists saving warblers don’t get that question as often as I do, because birds clearly do matter. Birds are a very accessible form of wildlife, you can see them in your back yards, and they are the sound of nature. Just a few adrenalin-filled moments spent watching a woodpecker and a cardinal having a fight at a bird feeder is enough escapism to lift the burdens of a hard day in the office. Yet frogs do matter for all these reasons and more. The main difference between frogs and birds is that the bird folks are organized and the amphibian conservationists are only just starting to get their act together. Birdlife International has 4000 full-time employees, RSPB has 1,300 staff, the Audubon Society has 600 employees. Even Ducks Unlimited has 500 employees – all working full time applying their skills to bird conservation! Yet in the whole amphibian world there are only a handful of people are working full-time to mitigate the threats facing amphibians. Faced with this dearth of capacity it is no wonder that just 12% of birds are in danger of extinction compared to 32% of amphibians. Since 1980 we have lost just 5 species of birds but over 120 species of amphibians! That still doesn’t answer the question why does it matter if they go extinct? Humans have many different kinds of value systems. The most obvious one is goods and services that can be exchanged for cash. The best example of the direct value of amphibians is frog legs. These are a culinary curiosity and have obvious direct value that can easily be quantified in dollars. Most people would be surprised to hear that between 1996 and 2006, over 100,000 tons of frogs legs were imported and had a value approaching half a billion dollars! Every year 100 million to 400 million wild-caught animals are imported and exported to nearly every country in the world. This public service announcement from the Vancouver aquarium elegantly captures how important amphibians are to controlling pests. However, it is difficult to figure out how much these ecosystem services are worth if people aren’t paying for them, they are indirect values. The trouble is it’s tough to know how much something is really worth unless someone is willing to pay for it. One example that gives us a clue about what people may be willing to sacrifice for these indirect services is from India. In 1981 the Indian the frog leg trade peaked, when more than 4,000 tons were exported, mainly to Europe earning revenues of $9.3 million. In 1987, however, India banned frog legs exports, arguing that the cost of importing more pesticides to combat pests in rice paddies devoid of amphibians was outstripping revenues earned from frog leg exports. This contention also contributed to the listing of two species that were targeted specifically for food on Appendix II in CITES. Many people will justify saving the rain forest, because we don’t know what AIDS cure might be out there, and we don’t want it to go extinct before we find out where to get it, something that we’ll call option values. Well, one of my collaborators, an incredible lady by the name of Louise Rollins-Smith recently discovered that the White’s tree frog from Australia produces a kind of chemical called a caerin (pronounced see-rin) that can block HIV transmission to t-cells! In fact, frog-skins are a real pharmacopeia something I’ve tried to communicate in this illustration below. The gastric brooding frog from Australia may have held a cure for peptic ulcers, a condition that affects millions of people around the world each year. Unfortunately though, its potential benefits went extinct along with both species in its genus in the 1980’s. Looking at this diagram makes one realize that some values are difficult to prescribe in dollar terms. It makes you think about what we are loosing when you hear stories like one from my colleagues in Panama who recently discovered 10 new species in Panama-after they had already gone extinct! 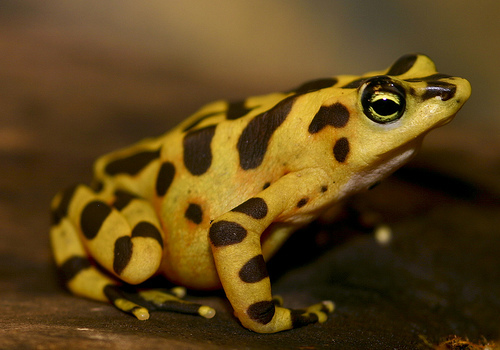 Amenity values are difficult to quantify in dollar terms, yet frogs are one of the most commonly used animals in classroom education in Western countries. 44-64% of all colleges and secondary schools surveyed in Georgia, USA used amphibians for educational purposes. And how many of us had our first real wildlife experiences catching frogs and kissing them to see if they turned into a prince? Or chasing a bullfrog across the garden lawn in a frog-jumping competition with your friends? Ethical values are, in my mind, the real justification for saving a species. Many people will spend countless millions on a work of art, a unique object of beauty and fascination that enriches our lives simply because it exists. I feel the same way about a species, when we lose it, it can never be replaced. Like many people before me I find frogs fascinating creatures. In Africa, the ancient Egyptian goddess of fertility, Hequet, was often depicted as a frog. In Asia Chan Chu, the three-legged money frog is a popular Chinese symbol for prosperity and it is said to bring wealth into your life. 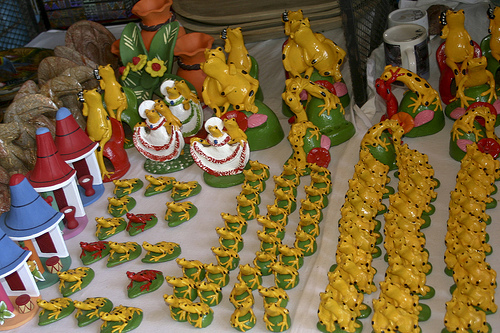 In the America’s pre-Columbian indigenous people crafted frogs in gold and clay talismans called huacas. 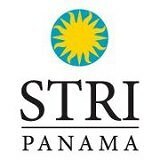 Today, golden frogs are considered lucky, and adorn Panamanian lottery tickets and crowd tables in tourist markets. In more contemporary settings, one has to wonder what the value is of modern cultural icons such as Kermit or the Budweiser trio of frogs named Bud, Wei and Ser? 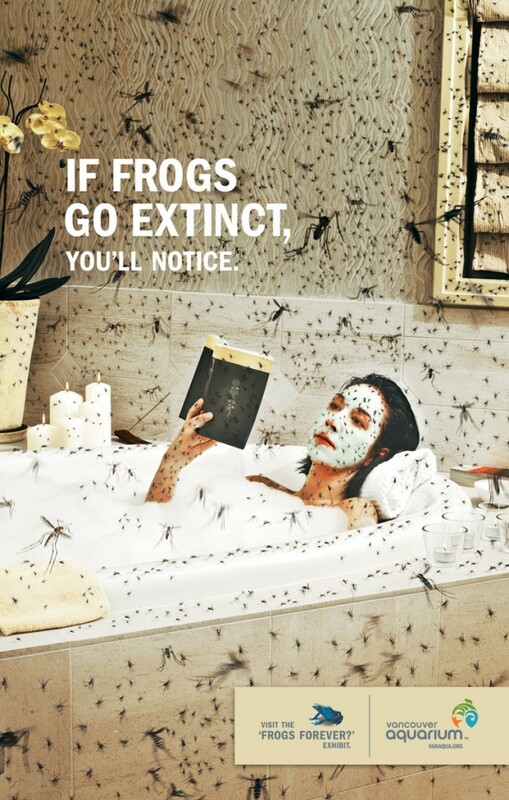 So you may be saying right now – I’m not convinced, frogs creep me out. That’s OK, but I would beg to differ with you because I know that frogs do matter. I just want to keep them around so that your children and their children can form their own opinions. Not just by looking at catalogues of extinct species in a library somewhere, but by exploring a stream with their friends and discovering these incredible creatures for themselves. It’s official. The deadly amphibian chytrid fungus Batrachochytrium dendrobatidis (Bd) has now spread across the Panama Canal into Eastern Panama according to a study recently published in Ecohealth. Elsewhere in Central and South America, this disease has spread through mountainous regions. According to Karen Lips, a conservation biologist who has studied the problem for years, when Bd arrives at a site, about half of the species vanish and the remaining species experience massive die-offs. Conservationists have been fretting for years about what might happen to Eastern Panama’s 120-odd amphibian species when Bd hits. Bd is a disease that cannot tolerate extremely hot temperatures, so it tends to be most devastating in cooler mountainous regions of the tropics that remain cool and moist year-round. 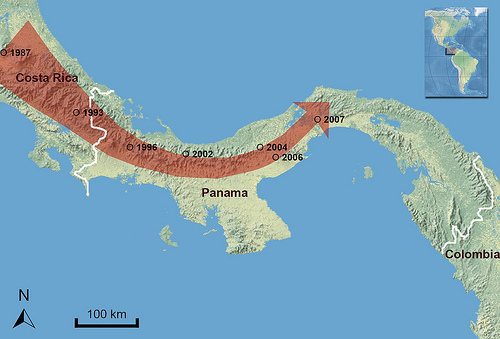 The mountainous regions of Eastern Panama are one of the last remaining strongholds of naïve amphibian populations in the New World, and species that tend to have a highland distribution and small ranges are the most vulnerable to extinction. To add another layer of complexity to this problem, there are many species new to science that we could lose before they are even discovered. 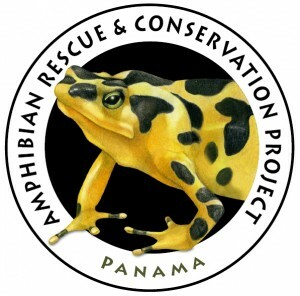 According to Dr. Andrew Crawford who studies amphibian genetics, “Eastern Panama has been relatively poorly explored by herpetologists and it is likely that there are several species new to science that live only in this region. What is particularly worrying is that we are facing a huge biodiversity threat, but we don’t have a good idea of just how many species are at stake”.